There’s probably a number of celebrities that have a put in a call to Elie Saab to request a custom made version of these beautiful gowns. I am sooo excited for this new season because it gives me hope that even though I’m buried in this deep freeze, there is light at the end of the tunnel. 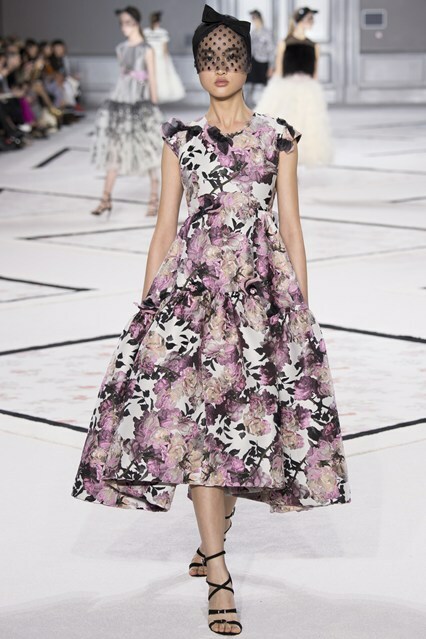 I absolutely adore Giambattista Valli and this collection is just lovely! The question remains whose going to take the bait? The more I see from Olivier Rousteing’s powerhouse brand Balmain, the more I love. He puts the F in fierce. He’s been hitting it out of the park no matter whether it’s from best pal and favourite supporter Kim K West (well, not in that VMA outfit though) to that ridiculously glamourous spread that Naomi, Rihanna and Iman did for W Magazine (scroll down). Julien Macdonald came out swinging at this year’s Spring/Summer show during London Fashion week. 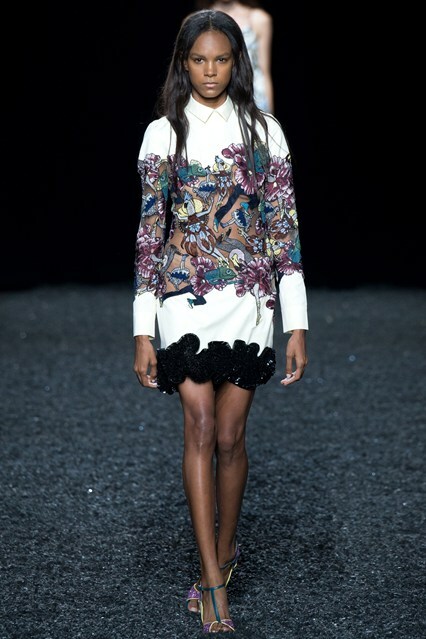 I’ve been a fan of Mary Katrantzou ever since I saw Keira Knightly in one of her amazing dreses, and this collection is no different. It has an underwater vibe that will not let you sink even if you were being pulled down by the largest piece of algae.